Coffee from the region of Southeast Asia and Oceania. In this section we have compiled for you coffees from India, Indonesia and Papua New Guinea. The "coffee-Finder" helps you in the selection. 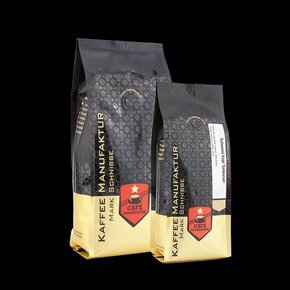 Premium coffee beans from India, Indonesia and the Oceania region, zeichenen by a soft body with low acidity. The southern Indian states between the 10th and 15th latitude create a unique, highly prized by lovers specialty: the so-called monsoon coffee. Its origin goes back to days when Indian exports on sailing ships still had to be transported for months to Europe. The coffee from Papua New Guinea is deeply cultivated between potatoes and bananas in the woods and clearings of countless small farmers. Almost all Arabicas thrive biologically because pesticides and fertilizers can be transported up to each individual tree hardly and also for the natives are also far too expensive. The total harvest is still at around one million bag.